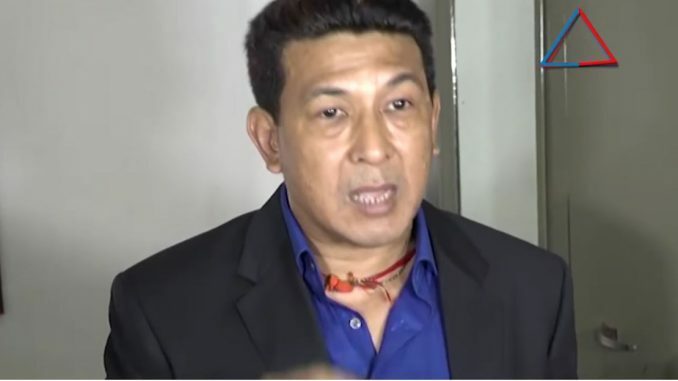 Pokhara— Rajiv Gurung alias Deepak Manange who has been facing criminal charge has been sworn in as a Gandaki Province assembly member in Pokhara on Monday. Gandaki Province Speaker Netranath Adhikari administered oath of the office and secrecy to Gurung in a formal ceremony. He had been released from a jail on bail following the verdict of a court. Then on December 27, he had written a letter to province secretariat demanding his swearing in. As he was sworn in, Gurung said that he won’t join any party at the moment but supports the incumbent government. Main opposition Nepali Congress, Naya Shakti Nepal and Rastriya janamorcha skipped the swearing in ceremony. Gurung is the independent winner of Manang constituency Kha in first phase of provincial election held in November 26, 2017. Patan High Court indicted him as a criminal but was released on December 21, 2018 after 9 month of jail term, following the verdict of Apex Court.